So, the OSCE was Wednesday. Ok, so it was two days ago. I took me a while to come back from my adrenaline crash! But yes, our first OSCE was Wednesday. 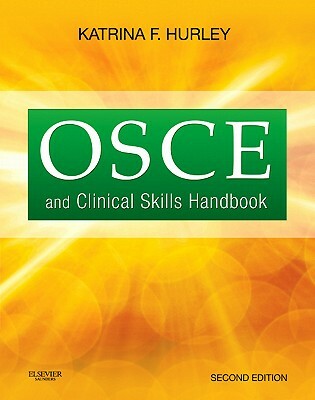 The OSCE stands for objective structured clinical examination, and it’s pretty much just the MMI on steroids. So, yeah, there’s that. The MMI (multiple mini interview) is a series of 8 minute stations where you are discussing a question, quote, role playing or doing a team task. 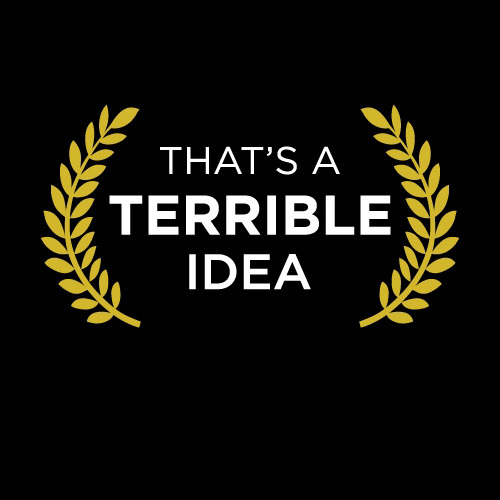 The OSCE is the same idea, except with less time and more to do. Being serious though, the OSCE for us was 10 stations – 6 physical exams and 4 histories. There were 2 GI, 2 Resp, 2 Cardio, 2 Neuro, 1 Head and Neck and 1 MSK station. Each station was 5 minutes long, and you had a minute to read the scenario and get to the next station. In studying, there were about 36 possible physical exams that it could have been, so we had to know all of those, as well as a few specific questions to ask for each possible history after the general Chloride FPP format that we use for focused interviews. Needless to say, it was a lot to cram in, though I was pretty lucky and managed to finish my project in time to have 7 days to study. Because placement and projects were running until a week ago, a lot of people who had more intense projects, or were on placement didn’t have as much time to study, like some of my friends who, because of project complications only had a day! Good book – buy this! This book goes through all the necessary skills, has some good pictures, and explains things in an ordered manner. I also used the checklists that my school provided, and a pdf of practice OSCE scenarios created by previous students, so I could check off my progress as I went through a scenario. I didn’t find Bates – the Clincal Skills textbook – too useful…I didn’t like the organization, and I found that it drowned you in far too much detail. However that is just my opinion, as several of my classmates like it, especially the handheld version. So, how did I actually find the OSCE? A more focused version of a resp exam is really needed for an OSCE I think. Some of the stations also had a question asked to you at the 45 second mark – and resp was on of them, really only giving you 4:15 minutes to do a full examination – and a couple of the questions were a bit more difficult, but overall they were mostly ok. I would definitely say that, despite the MSK and Resp stations, the OSCE was fair, which is a good thing. Things like the OSCE always seem so huge, and so when you are done them, you feel like a million years have passed. 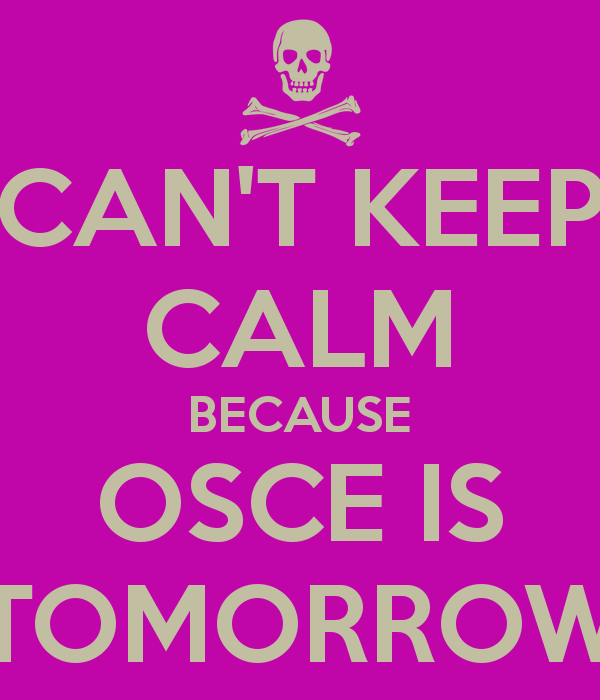 Wednesday was only two days ago, but it feels like the OSCE happened weeks ago! Still, although we won’t get our marks back until hopefully next week, I did feel good about it – and though I won’t tempt fate – it is nice to have it over – please, please, please – with. Now, I can get back to real life, and do all those things I put off…like getting groceries!